After working in Park City real estate for decades, Brad Jensen has seen his fair share of stunning and inspiring homes. But even Jensen and Company was impressed by homes featured on Bob Vila’s “Home of the Week” series. As a website which normally focuses on advising homeowners on how to address issues with their home, Bob Vila likes to feature a “House of the Week” to give insight to a variety of available architectural styles. Below are 10 of our favorite homes featured in this series. 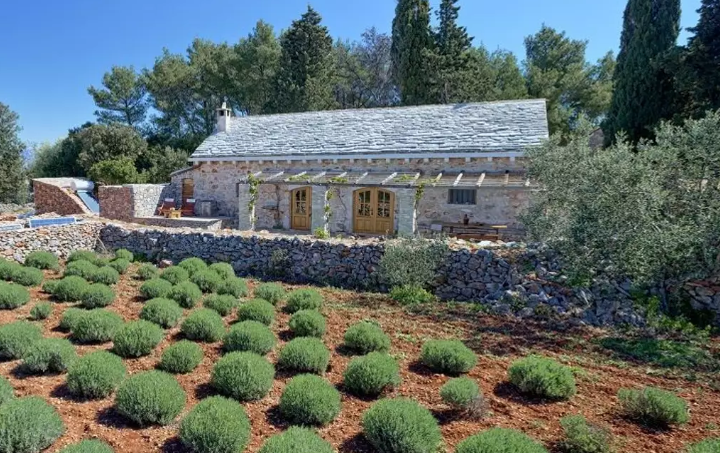 This charming cottage is located in Croatia and has held onto much of its old-world charm even as time has marched on. The modern fittings of a stove top and other appliances do not detract from the interior stone walls, mortared stone slab floors, and natural wood rustic feel. See more images of this home in the resources list below. 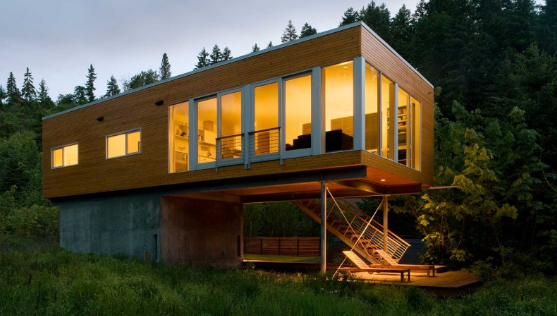 Blending contemporary urban design into a forest retreat in Oregon, this home was designed not to be a permanent residence. Instead, this home is meant to be a weekend retreat for those who want to regain their connection to nature. See more images of this home in the resources list below. Speaking of connecting with nature, why not connect with nature and your inner child? 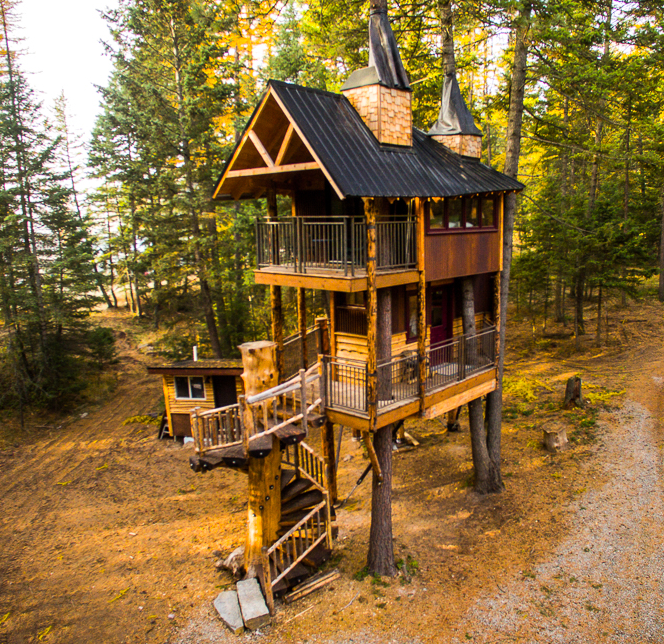 The lofty tree house of your childhood dreams can be found in Montana, near Glacier National Park. 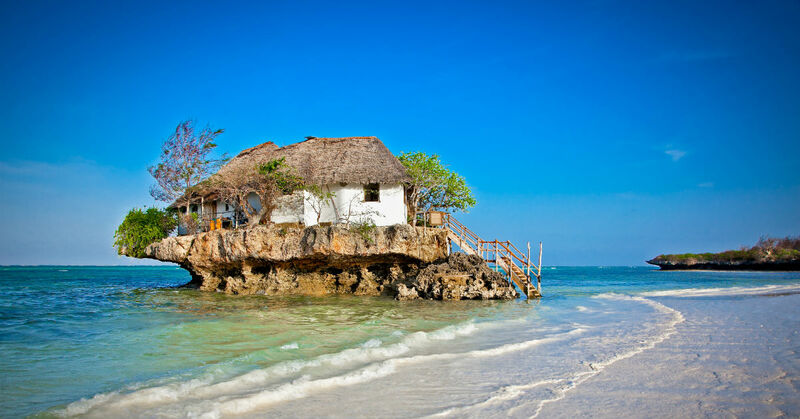 No need to worry about the stability of this home. It has been carefully engineered and continually monitored. See more images of this home in the resources list below. This stunning home is certainly an eye-catcher! Its unique curving construction is not commonly seen in homes and gives the house a sense of serene movement. 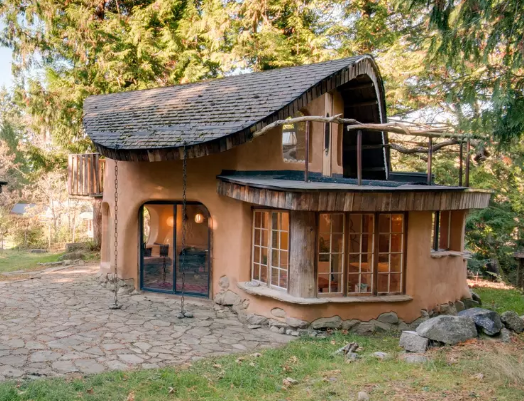 Also, this Mayne Island Cabin in British Columbia is built entirely with eco-friendly and sustainable materials. See more images of this home in the resources list below. 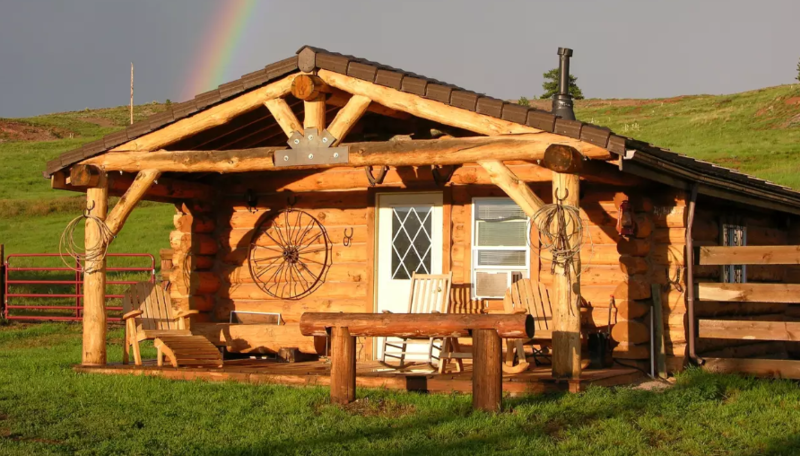 Set in the mountains of South Dakota, this Western-style cabin is a call back to a simpler time. Complete with areas to board horses, visitors to this home will be surrounded inside and out with Western paraphernalia and rustic charm. See more images of this home in the resources list below. 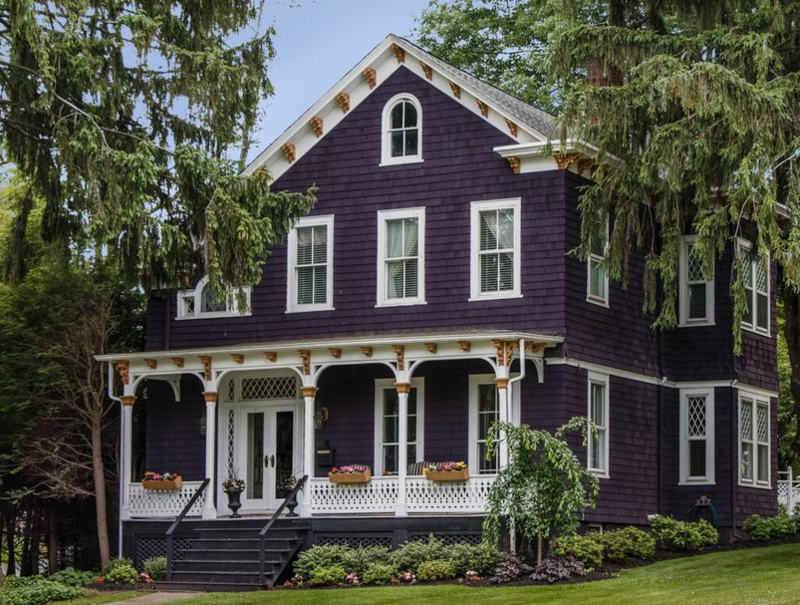 Located in Chatham, New Jersey, this regal and imposing Victorian home has held onto its classic architecture, even if the colors are not strictly period-specific. From the preserved molding details to the intricate porch railing, this home is sure to inspire those who love a classic. See more images of this home in the resources list below. 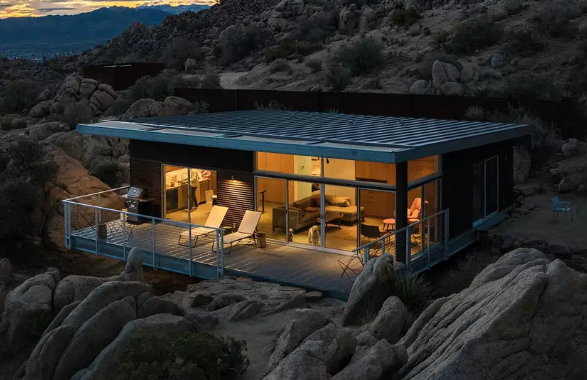 Nestled in the Mohave Desert in Yucca, California, this sleek home is half made with windows, to truly allow guests to become immersed in the austere desert-scape. Many little surprises are tucked around the house, like the cowboy tub, outdoor shower, jacuzzi, and many other spots to relax. See more images of this home in the resources list below. 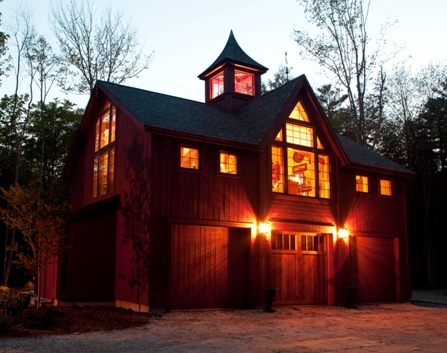 Inspired by old carriage barns, where the carriage handlers lived above the horses and carriages, the bottom floor of this carriage house is dedicated to a large garage and a half-bathroom. The second story is an open, charming space with gabled ceilings and large windows to let in plenty of natural light. See more images of this home in the resources list below. 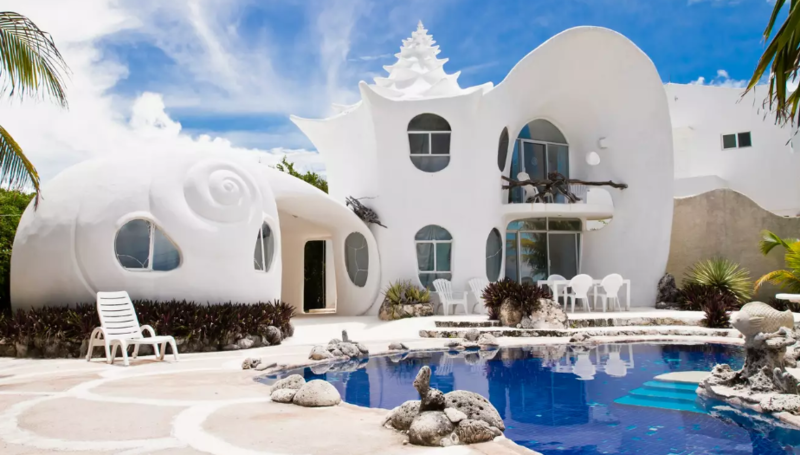 No need to grow fins and gills to live out your undersea dreams when you can visit this home in Isla Mujeres, Mexico. Beautiful and bright, the interior walls and counters in the house follow the lovely curves of the outside of the home. Shell accents are repeated throughout the home to bring home the feeling of being in an underwater palace. See more images of this home in the resources list below. Designed by the architect Toshihiro Oki, this home was built with an eye to keeping the horizon unbroken by the house and the beach clearly visible from the home. That is why there are large panels of glass only broken up by light beige walls. See more images of this home in the resources list below. The majority of the homes here are vacation homes, designed to allow people to relax and reconnect with nature. If these homes have inspired you to find your dream vacation home in Park City’s beautiful, mountainous area, be sure to contact us for help finding the perfect place.